Western magick is based upon the Cabala (or Qabala), a Jewish mystical tradition first written down in 12th and 13th century southern France and Spain. It purports to contain the so-called 'lost knowledge of the ancients,' possibly going back to Egypt and prior cultures. An important attribute of the Cabala is the Tree of Life. This Tree is a diagram of the universe made up of the ten Sephiroth (primal numbers or orders of creation) drawn as circles upon the Tree in a descending pattern from the highest aspect of God at the top to the most physical aspect of our world at the bottom. The sephiroth are connected together by 22 paths. From a magical point of view, the Tree of Life is a map of consciousness which is useful for understanding and attaining various states of consciousness. Using the Tree, we work to link higher energy to lower levels on the tree using pathworking to climb up the tree and attain union with divinity. First published in 1985, Magical States of Consciousness: Pathworking on the Tree of Life was a groundbreaking book. This second edition contains no additions, no updates, but is a literal reprint. Which is a shame, because I would have enjoyed Phillps' perspective on 'life after publishing' because the world of magic has changed so dramatically. That is my only criticism, and its passing mild, at best. This is a serious book, one that truly has the power to effect profound change in your life. Just reading won't change anything major, but it will impart subtle differences in your outlook. Each pathworking will take several hours to complete, at a minimum and each will produce profound changes within you and your life. Magic requires exploration, and this is one of the best guides written, but use with caution and respect. Denning & Phillips wrote their pathworkings (which some called guided meditations) to evoke very strong, very specific emotions and experiences. Pathworkings engage the deeper levels of the mind, those hidden in what we usually call the Unconscious. For most people, this hidden side of ourselves is usually in control, and it is the great task of the user of magic to learn to communicate with the Unconscious and train it to respond to your Will, not its programming. Pathworking is one such technique we can use to communicate with the Unconscious. 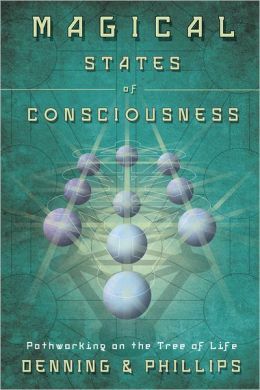 I'm pleased to see Magical States of Consciousness re-released. It is a 'must' for every person interested in working magic.